The ideal choice for medium-sized meeting rooms to benefit from high quality sound and carry out natural, fluid conversations thanks to full duplex technology. We offer a turnkey solution that is unique on the conference system market. A solution providing maximum mobility and freedom. Attendants can settle freely in the meeting room, speak naturally without raising their voices or moving closer in order to be heard, and can take active part in the conference. 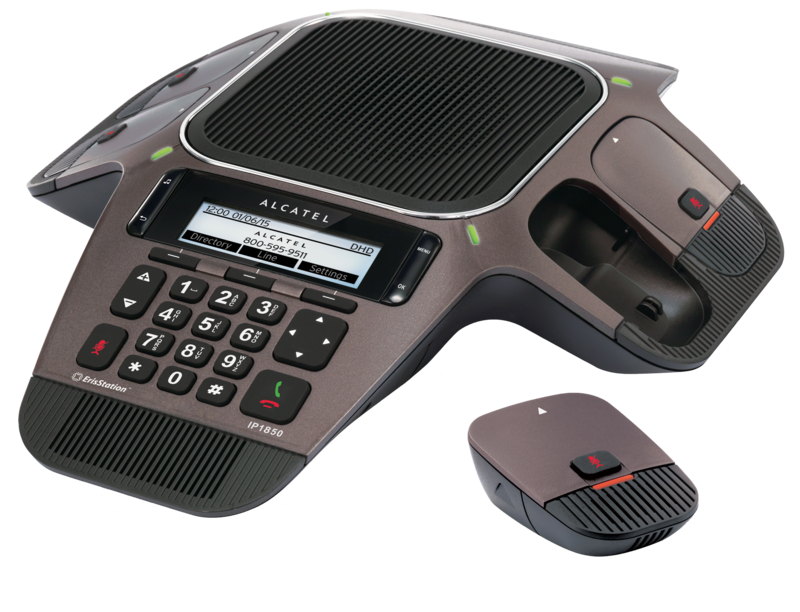 - our conference phone has a single power/LAN connection module to minimize cabling and optimize terminal setup. Experience clear and productive Skype for Business conference calls by connecting Conference IP1850 to your PC via USB port.